The 2019 Kia Sorento continues with the current-generation of the midsize crossover-SUV, building on the winning three-row design Kia introduced a few years ago. Refreshed for this new model year, the Sorento makes some changes to powertrain options and making the third row a standard feature. 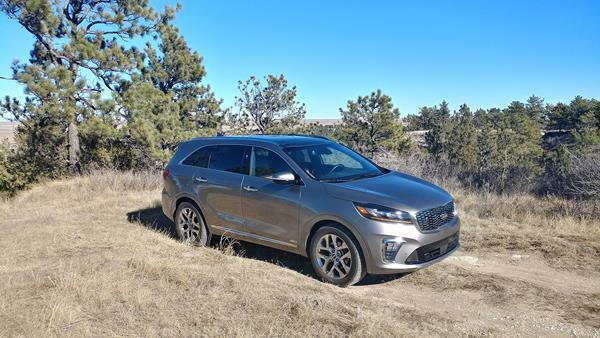 The 2019 Sorento is a well-considered, well-priced option for the family needing three rows of seating on occasion and the versatility and usefulness that a family crossover provides. Options for the Sorento range from utilitarian to luxurious, hitting every budget with a Sorento to fit. The 2019 Kia Sorento is upgraded with some exterior styling changes, a new transmission for the V6 engine option, and with more standard equipment than before. The Sorento is now offered in five trim levels with two engine options and either front-wheel or all-wheel drive. Seating for up to seven is standard in all 2019 Sorento models. The 2019 Kia Sorento has a distinctly contemporary and Kia look to it. The front grille is similar to that found on most Kia vehicles, though the "kidney" is de-emphasized for a more robust look. Bodywork is smooth and somewhat sporty with a good "hide the box" appeal to its design. Curves accent the rear portion and roofline, while the straight lower edge lets the eye know there is capable ground clearance too. Most of the changes for the 2019 model year Sorento are subtle. Styling cues are upgraded with a less boxy rear end to the 2019 Sorento, adding a deeper-looking cut to the rear pillar and more swoop to the rear-most side glass. The front fascia is more robust, with a slightly wider grille and more emphasis on the three-point headlamps and foglamps. The lower scoop on the front fascia is similar to that found on Kia's sedans such as the Optima and Stinger, adding a bit of sport to the aerodynamic appeal of the Sorento. The intakes are tucked in and back, adding some emphasis to the bumper line above. 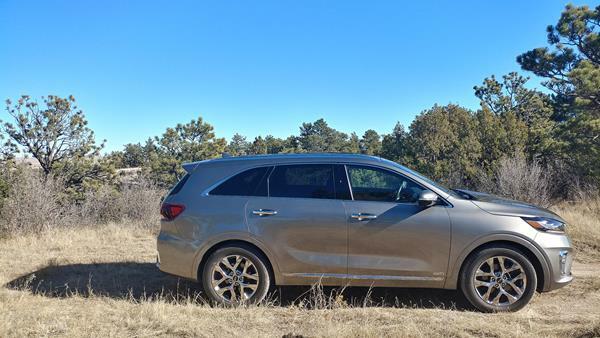 The Sorento has a good, solid presence that isn't boxy or sedate. The sporty edges and better pacing for the overall look of the 2019 Kia Sorento is a good fit for the crossover. It won't be lost in the crowd, but neither does it jump out and beg for attention. 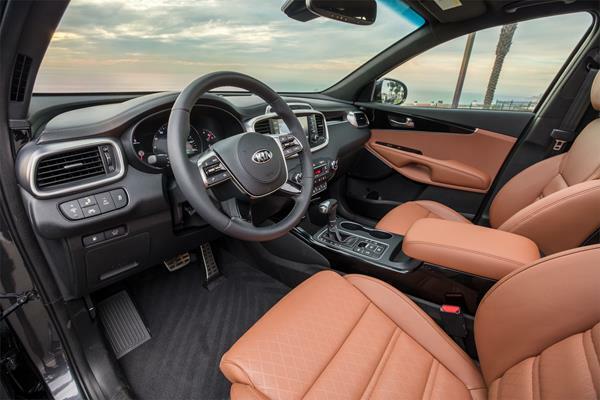 The 2019 Kia Sorento has a well-designed, comfortable cabin that accommodates the front two rows nicely. The third row is a little more cramped and difficult to get to, though, and cargo space is limited when the third row is in use. A common complaint among smaller three-rows like the Sorento. Seating in the 2019 Sorento is comfortable for the driver and front passenger, with easy entry and exit thanks to wide doors and low entry ledges. The seats are padded just right and have an extendable lower cushion for more thigh support. The driver is treated to a well laid out gauge cluster and instrumentation with everything in its intuitive place. Steering wheel controls are nicely done as well. Both driver and front passenger have ample legroom, headroom, and adjustment options. The second row is also well done. The outboard seats are very comfortable and have some adjustment for more space. The wide-opening rear doors offer easy access to that second row with good legroom and headroom throughout. Storage and technology access in the second row is on par with most vehicles in the Sorento's segment. The third row is more difficult to get to, despite the tilt-slide second-row seats. Overhead grab handles at the second row are positioned too far forward for those getting to the third row to find them useful. The third row itself is small, cramped, and offers little room. It's a kids-only position, as is true of nearly all midsize three-rows we've tried. 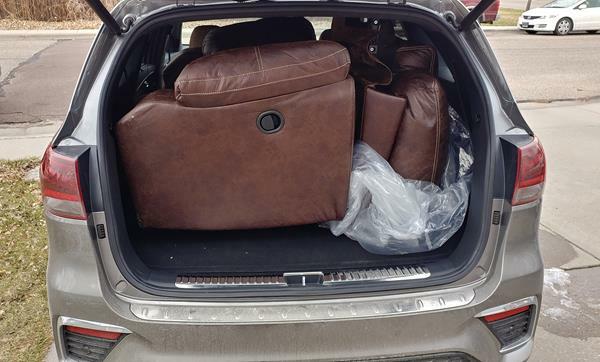 Behind the third row, there is a mere 11.3 cubic feet of cargo space available. With the third row down, that becomes a more amenable 38 cubic feet and with both rows down, it's commensurate with even the best in the Sorento's class. So outside of the third row taking up a lot of space when in use, the Sorento's cargo room (and access to it) is among the best in its size class. 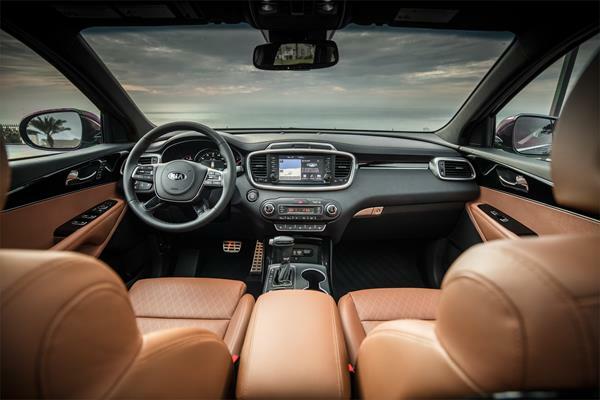 The 2019 Sorento comes with a basic touchscreen interface for limited use and an 8-inch touchscreen upgrade for more robust infotainment. The larger screen is easy to use, responds quickly, and offers all of the basic functions most will require. There are fancier, more tech-centric options on the market, but few of those are easier to use and master than what's found in the 2019 Kia Sorento. We found pairing a phone (both with Bluetooth and the included Android Auto/Apple CarPlay) to be easy and quick with the Sorento. There were no glitches with streaming music via either method and navigation prompts under Auto were seamless. We found little to complain about with the Sorento's included infotainment. The 2019 Kia Sorento, not surprisingly, returns excellent fuel economy numbers for its class. The base engine offers an EPA-rated 22 mpg in the city and 29 mpg on the highway in front-wheel drive, which is among the best in the class. The upgrade to a V6 engine drops numbers to 19 mpg in the city and 26 mpg on the highway, but those still remain near the top of the class for an engine that large. Adding all-wheel drive reduces EPA estimates by one MPG. In the real world, our V6-powered Sorento did better than expected, returning 24 mpg overall thanks, we believe, to the new eight-speed automatic transmission and its focus on efficiency. Especially at highway speeds. There are no current reliability rating expectations published for the 2019 Kia Sorento, but the Kia has a good history with dependability and has had no recalls for this model year. Kia also offers one of the best warranties in automotive, with a five-year/60,000-mile basic warranty and a 10-year/100,000-mile warranty on its powertrain. All of that gives us confidence in the 2019 Sorento's expected durability. 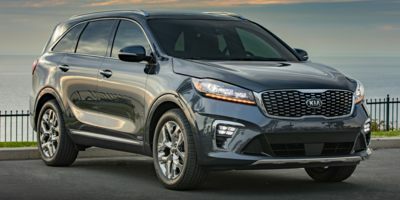 Both the National Highway Traffic Safety Administration (NHTSA) and the Insurance Institute for Highway Safety (IIHS) give the 2019 Kia Sorento excellent marks for safety. In crash test results, the NHTSA gave the 2019 Sorento a 5-Star overall rating, with five stars each for frontal and side crash results and four stars for rollover tests. The IIHS gave the 2019 Sorento top scores of "Good" on all of its crash tests plus a rating of "Superior" for its advanced crash mitigation technologies. The 2019 Sorento has a 2.4-liter four-cylinder engine as its base offering. This engine produces 185 horsepower and runs through a six-speed automatic transmission to the front wheels. This powerplant will do fine for daily drives that don't often involve highway speeds and for toting the kids to soccer practice and the like. If anything more is asked of the Sorento with this 2.4, however, it will issue complaints and struggle to meet those requests. The upgrade engine, which is standard in middle and upper trims, is a more robust 3.3-liter V6 that outputs 290 horsepower to a new eight-speed automatic transmission. The new transmission seems to have been added purely to gain more fuel efficiency for the 2019 Sorento, adding the extra couple of gears to boost mid- and high-speed efficiency. It worked, as our fuel efficiency numbers above show. 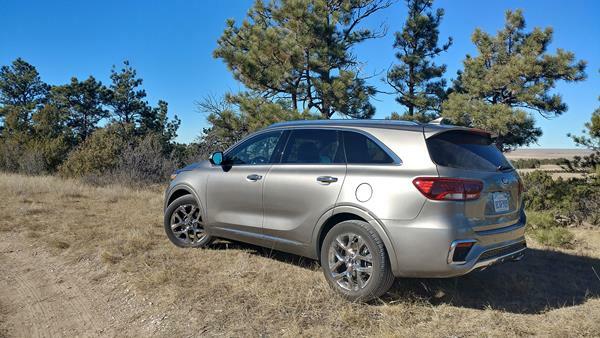 The 2019 Kia Sorento with the V6 is a far more likable drive with enough power to feel confident most of the time. It does not feel sporty or peppy, but it doesn't feel sluggish either. It's a good mix of need versus want and does well for the Kia. AWD is an option with the V6, as is towing, for which it's rated at up to 5,000 pounds when equipped. Out on the road, the 2019 Sorento is a good drive with predictable dynamics and a ready feel to it. Parking is a cinch thanks to the great visibility that the Sorento offers and road noise is minimal in most driving situations. Comfort levels are as good or better than most in this class. The 2019 Kia Sorento offers an excellent up-front value proposition with a strong long-term expectation as a three-row family crossover. The base price is very low, but most buyers will likely be attracted to more content-filled trims. We recommend considering the LX and EX trim points with the better V6 engine and its efficient transmission. Infotainment upgrades and better comfort and convenience additions are also well worth going to these trims. The Sorento has a resale value that's about average for the midsize crossover segment, but that middling resale is after knowing the up-front price for the Sorento was lower than nearly all of its competitors. The midsize three-row crossover-SUV segment is growing fast and thus has plenty of worthy competitors vying for consumer dollars. The 2019 Kia Sorento stands well against those competitors, but should be cross-shopped against the very well done Chevrolet Traverse, Toyota Highlander, Hyundai Santa Fe, and Mazda CX-9. The Traverse and Highlander are the most family-ergonomic options in this three-row segment, with more third-row accommodation and more upscale interiors. They are also larger and pricier than is the Sorento. The Hyundai Santa Fe is a close match to the Sorento for both accommodation and size, but is a bit more upscale and thus a bit more expensive. The Mazda CX-9 is a solid entry in the three-row segment, offering a similar interior experience to the Sorento but with a more peppy, sporty drive quality and smooth on-road experience. Among these, the 2019 Sorento is at least competitive without considering price. Adding in its far lower price point and the amazing amount of value included, though, puts the 2019 Kia Sorento into the running as a top choice in family three-row crossovers. Interested to see how the 2019 Kia Sorento ranks against similar cars in terms of key attributes? Here are the 2019 Kia Sorento rankings for MPG, horsepower, torque, leg room, head room, shoulder room, hip room and so forth.